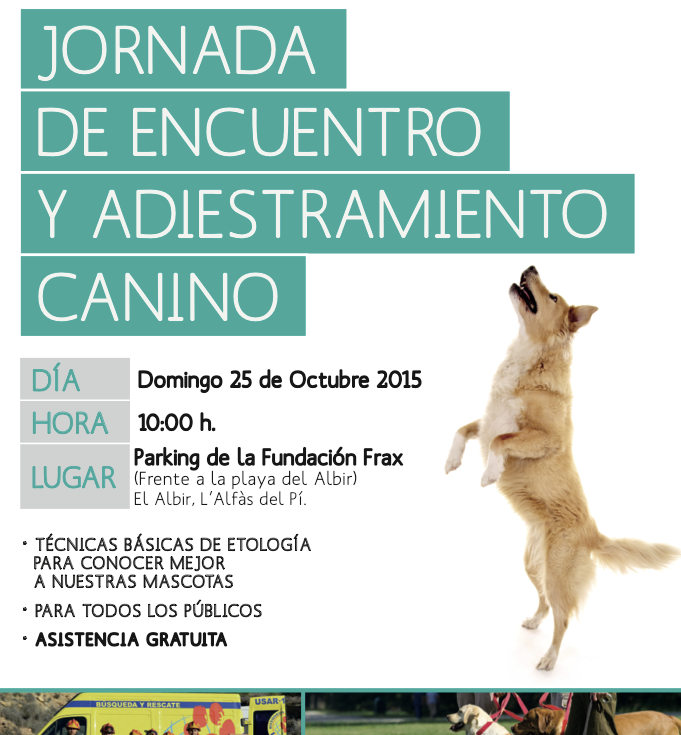 SI TIENES MASCOTA Y QUIERES APRENDER TÉCNICAS BÁSICAS DE ADIESTRAMIENTO Y ETOLOGÍA CANINA, CUIDEMOS EL ALBIR, TE INVITA EL DOMINGO 25 DE OCTUBRE A LAS 10:00 EN EL PARKING DE LA FUNDACIÓN FRAX, FRENTE A LA PLAYA, A UNA JORNADA FAMILIAR. FAMILIA Y MASCOTAS EN UN ENCUENTRO DIVERTIDO Y EDUCATIVO. CUIDEMOS NUESTRAS MASCOTAS, CUIDEMOS EL ALBIR.